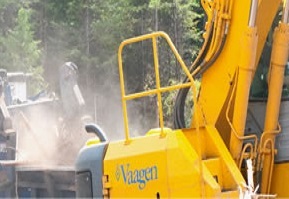 Vaagen Brothers Lumber eliminates waste and creates engergy through a partnership with Avista in which woody debris are chipped and hauled to a biomass facility in Kettle Falls, where it produces enough electricity to meet 37,500 homes’ needs for about eight hours. 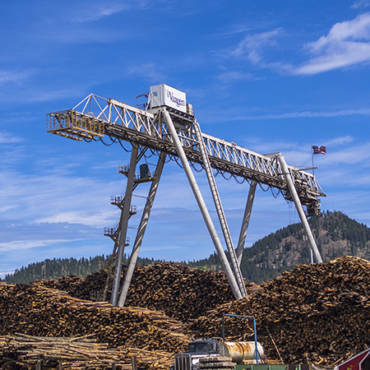 Transforming slash piles or left over wood product such as branches or tree tops into clean, green energy is a collaborative effort between Avista, Vaagen Brothers Lumber, and the Washington Department of Natural Resources. Avista burns bark and other leftover wood products into superheated steam of 950 degrees. The result – a giant firebox that heats water for steam, which turns electricity turbines with limited emissions or harm to the environment. For year’s, environmentalists have wanted an alternative to burning “slash” that can create smoke pollutants. Turning waste into energy is a much more viable option. It’s an evolution of the use of material from the forest.